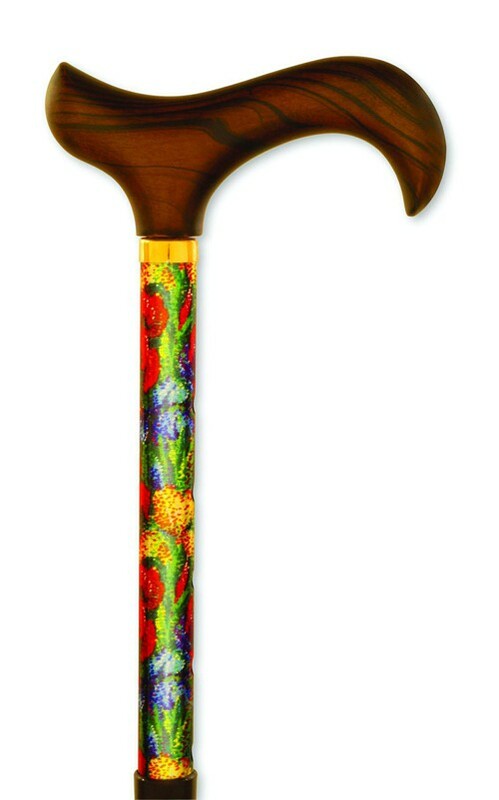 Slim-Line Travel Folding Canes offer tapered shafts for an elegant and classic look. These walking canes feature strong lightweight, anodized aluminum construction that provides durability and solid support. 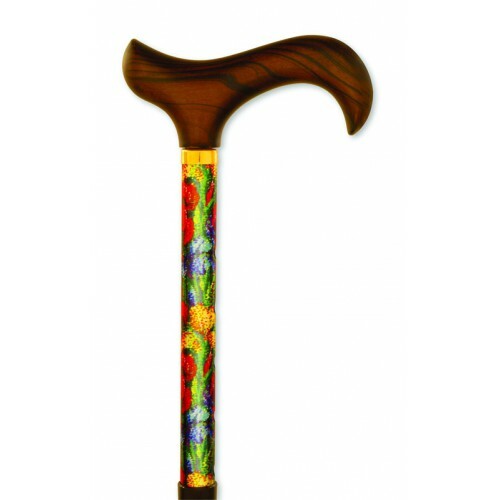 Each cane comes with a rubber tip, a compact carrying case, double elastic cords for superior strength, Rosewood stained Derby style handles and accent collars. *Please note: The Slim-Line Travel Folding Canes were designed for individuals who weigh 175 lbs or less. Sized Folded in Storage Bag: 12.5" x 3.5"
Solid wood formed to fit the hand comfortably. Slender to fit the small hands of a woman.